but sometimes my kids get mixed up. but wanted Roman Noodles for lunch. although we still get them mixed up on occasion. A visual person, I’ve learned I teach better according to my style. I needed to land the learning so they would have success for a lifetime. I invented Roman Numeral Tiles. 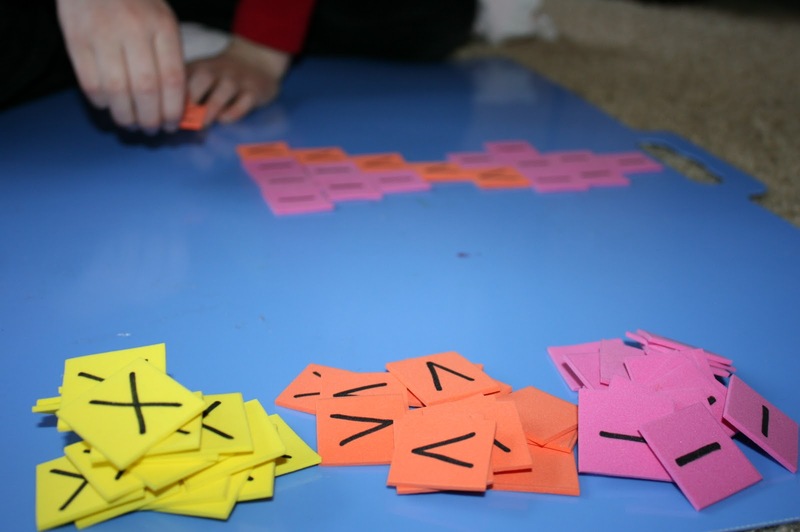 One inch squares of Fun Foam were labeled with a permanent marker. This lesson we were just learning to count from 1-30.
and not using a number more than three times in a row. also remind us of a God who created in pattern and order. 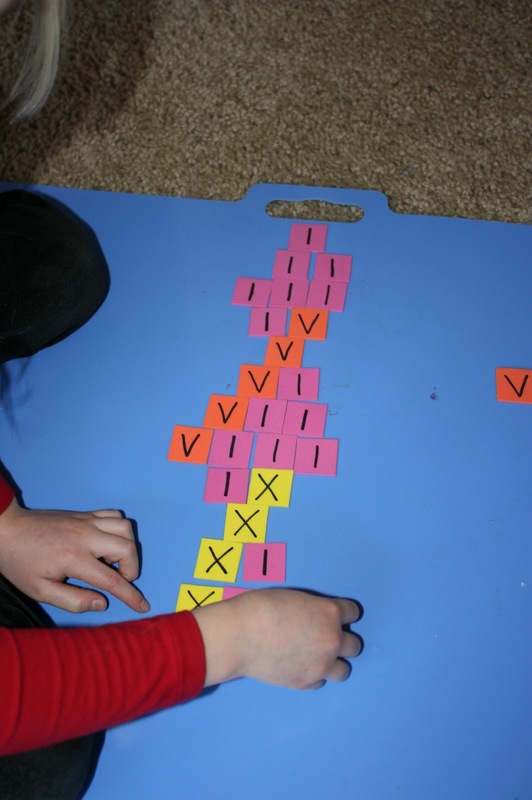 and had her use the tiles to show the Roman Numeral equivalent. then she quickly found the correct tiles. but it’s time that usually won’t need to be repeated. and a lot of lengthy reminders. 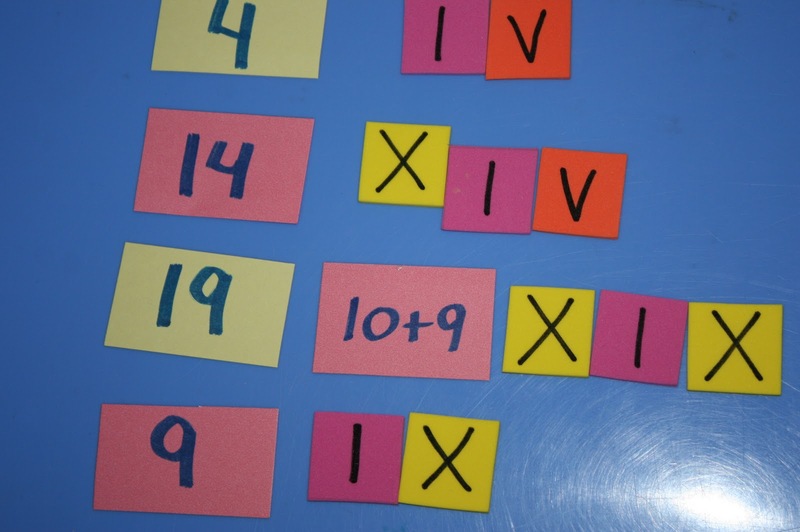 I found a few free Roman Numeral worksheets from abcteach. 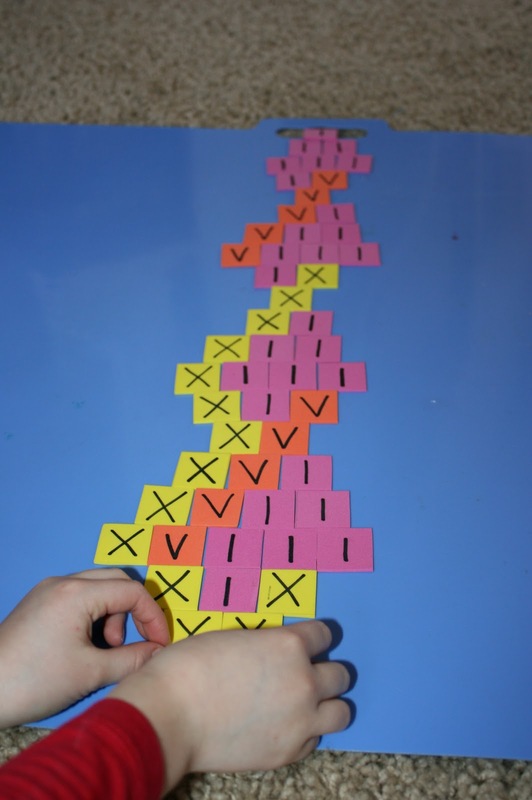 playing Snakes and Ladders with Roman Numerals. I had to make a bingo game. Stay tuned. I have another fun way to learn Ramen Numerals. 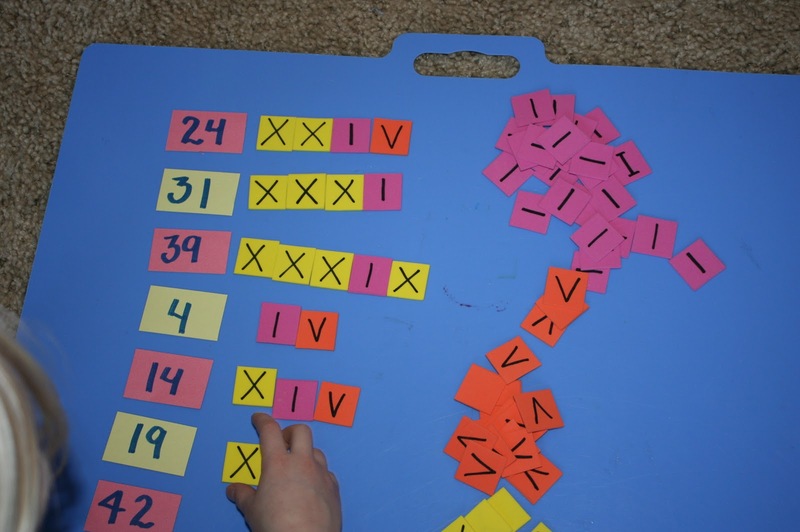 This entry was posted in 2nd grade math, math manipulatives, Rebekah, Roman Numerals on February 8, 2011 by Mindy. very creative. Thanks for sharing. I always love math suggestions. That is a great way to teach Roman Numbers — I'm passing it on to my friends in co-op! I will definitely steal this one. My super smart math girl, who does algebra in her head, simply can't grasp Roman Numerals. Thanks for the tip.